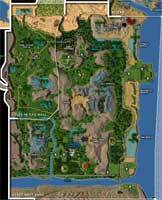 The CSPmap is an in-game map for the popular MMORPG Anarchy Online. 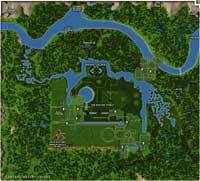 The two maps that come with Anarchy Online are both lacking in information and most people find it helpful to add a better map to their game. 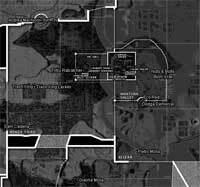 The CSPmap includes all of the information other similar third-party maps have, but also all of the game additions of the past two years and more. level ranges for all notum fields are included as well as the notum field being visible over the terrain; LCA naming is the same as the Huge Map, with some corrections made. There are also alternate maps for each of the live dimensions showing which LCA's are unlocked (aka "approved by ICC for mining"). zone walls are more accurate (ex. there's a huge band in Newland that's inaccessible, but you can zone over); please note, though, that AO's zone walls weren't lined up so carefully, so there have been some limitations in accuracy. 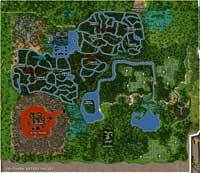 There are also helpfiles available that can be viewed in-game while playing Anarchy Online. These files augment the CSPmap by giving additional information on city controllers, dynacamps, and notum fields. They are also available in several different languages. 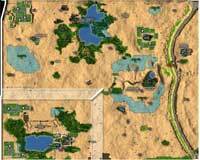 There was a change made to Anarchy Online a short while ago that prevented many third-party maps from functioning. This new CSPmap release is essentially just a fix for that problem. If you have manually fixed your map, you don't need to worry about this update, but running the patch won't hurt anything either. The installer also has some new features. When you install the CSPmap, it will change all user preferences to use the main CSPmap so manually changing it is no longer necessary. Also, a shortcut to the uninstaller is added into the "Anarchy Online" start menu folder (or another folder if you choose another one). The uninstaller will also change any user's preferences who are using the CSPmap to go back to the normal default map. The patch files will update already installed copies of the CSPmap (including the DNW-addon if present) from the version indicated to the latest version, so download the one appropriate to the version you currently have installed. If you're an "advanced paranoid user" and want a zip copy of the map, please go to the map zip file page. Here are some sampled portions of the CSPmap. Click on each to get a full-sized version.